You need to implement payment processing for your business, but you don’t know how to proceed. Your business never processed transactions and needs a merchant account, but your application gets rejected for no obvious reason. rejection of merchant applications. Often you cannot understand why your application gets rejected. Sometimes the bank might be avoiding to give you the answer: you are not getting a “no”, but you are not getting a “yes” either. In order to move forward, you need to deal with someone who is familiar with the procedure of setting up processing for a new company and establishing the necessary partnerships. Beside that, preferably, you need to have a payment platform that is going to include functionality necessary to organize all the necessary processes for you. 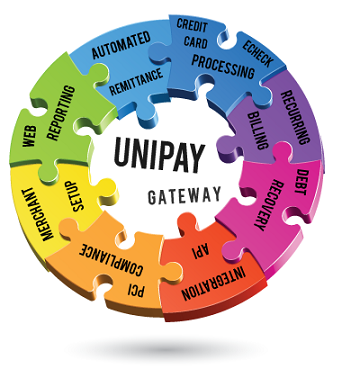 United Thinkers’ flagship product, UniPay Gateway, is a robust payment platform that allows its multiple users to move forward with their payment projects. We have rich experience of helping our clients to successfully establish processor, acquirer, and gateway relationships. Are you a newcomer in the payment processing industry? Let United Thinkers teem to assist you with any queries you may have regarding the payment gateway integrations or getting a merchant account. Is there any difference between a payment gateway and a payment service?